With the release of Jack In A Pot, Red Tiger is inviting you to step into a magical world and visit the greenest hill in fantasy land! And all of this while making winning combinations in clusters. Cluster pays slots are super fun since they’re very easy to understand! Even if you’re new to online casinos and have not played many slot games before. In fact, their pay structure is very similar to many games you’d find on social media. But with the release of Jack In A Pot video slot, Red Tiger is sure making this well-known game format more exciting! Indeed, this game has 4 different types of Wild that will trigger all sorts of animations and wins. But let’s not forget to mention that this game is also of high volatility, which means that when you win, you win a lot more than on low volatility slot! Bonuses & features: Avalanche, Free Spins, and 4 different Wild symbols with different powers. Highest-paying symbol: 40 Gold clover symbols reward you with 800 coins. When you play Jack In A Pot video slot, you’ll need 4 green leaf symbols to complete the clover located on the right-hand side of the reels and to trigger the Free Spins feature. But a great thing about this game is that you won’t need to have 4 symbols in one spin. In fact, to trigger the feature, you only need 4 symbols to appear when one or more avalanche(s) is(are) triggered. To put this in perspective, let’s imagine that on your first spin, one Free Spins symbol land in view, plus a winning combination too. So, the winning combination will explode to make room for new symbols like in most avalanche games. And if 3 or more green leaf symbols appear as the symbols are tumbling down. Well, you’ll complete the 4 leaf clover, and therefore you’ll activate the Free Spins feature! Jack In A Pot Is a great game because there are actually 4 different Wilds that will help you make winning combinations. First, there’s the rainbow Wild which will swap symbols to give you bigger wins when part of a winning combo. Second, there’s the Magic Pipe which can convert high paying symbols into colossal symbols. Then there’s the Wild hat, which removes all low-paying symbols from the reels. And finally, there’s the Wild Beer which will transform all symbols on up to 3 reels at random. 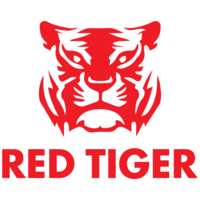 Even if cluster pays slots are a new trend for games studio nowadays, Red Tiger Gaming did manage to improve an already familiar game genre and theme. Indeed, Jack In A Pot offers diverse gameplay, and many surprises await in every spin! What’s more is that from our experience the four magical wild symbols frequently appear on the reels and that alone is unique for a medium to high volatility game. Give this slot a spin today. It’s available in many online casinos including Cashmio, Instacasino and Casumo! You’ll see it’s a super fun game, especially if you play with a bonus and pace your bets. This way you’ll have more chances to activate all the features it has to offer.